The Boston Pops was founded in 1885 as a second, popular identity of the Boston Symphony Orchestra (BSO), founded four years earlier. Consisting primarily of musicians from the BSO, although generally not the first-chair players, the orchestra performs a Spring season of popular music and a holiday program in December, the BSO schedule on break at those times. For the Pops, the seating on the floor of Symphony Hall is reconfigured from auditorium seating to banquet/cafe seating. 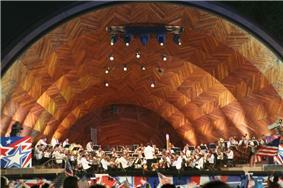 In addition the Pops also plays an annual concert at the Hatch Shell on the Esplanade every Fourth of July. Their performance of Stars and Stripes Forever is famous for the dropping of the American Flag that occurs as the song enters its final moments. 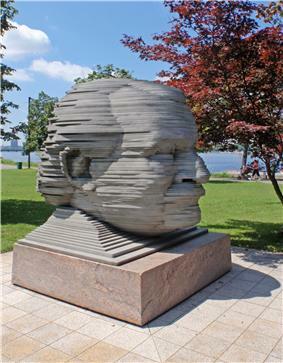 Identified with its long-time director Arthur Fiedler, in the past the orchestra has recorded extensively, made frequent tours, and appeared regularly on television. The Pops Spring and Holiday seasons allowed the BSO to become one of the first American orchestras to provide year-round employment for its musicians. In 1881, Henry Lee Higginson, the founder of the Boston Symphony Orchestra, wrote of his wish to present in Boston "concerts of a lighter kind of music." The Boston Pops Orchestra was founded to present this kind of music to the public, with the first concert performed in 1885. Called the "Promenade Concerts" until 1900, these performances combined light classical music, tunes from the current hits of the musical theater, and an occasional novelty number. Allowing for some changes of taste over the course of a century, the early programs were remarkably similar to the Boston Pops programs of today. The Boston Pops Orchestra had seventeen conductors before 1930, when Arthur Fiedler began a fifty-year tenure as the Pops conductor. Under Fiedler's direction the orchestra's popularity spread far beyond the city of Boston through recordings, radio and television. Unhappy with the reputation of classical music as being solely for affluent concert goers, Fiedler made efforts to bring classical music to a wider audience. He instituted a series of free concerts at the Hatch Shell on the Esplanade, a public park beside the Charles River. Fiedler insisted that the Pops Orchestra play popular music as well as well-known classical pieces, opening up a new niche of popular symphonic music. Of the many musical pieces created for the orchestra, the Pops' most identifiable works were the colorful novelty numbers composed by Fiedler's close friend Leroy Anderson, including "Sleigh Ride", "The Typewriter" and many others. Fiedler also initiated what has become a Boston tradition, and keeps growing as the years go by, which is the annual "Holiday Pops" concerts the Boston Pops give every December. Under Fiedler's direction, the Boston Pops sold more commercial recordings than any other orchestra in the world, with total sales of albums, singles, tapes, and cassettes exceeding $50 million. The orchestra's first recordings were made in July 1935 for Rhapsody in Blue. The Pops made their first high fidelity recording on June 20, 1947, of Gaîté Parisienne (based on the music of Jacques Offenbach), and recorded the same music seven years later in stereophonic sound, their first venture in multitrack recording. The list of artist-performers during this period includes world-class soloists and contains some historic and legendary names who performed on the many Boston Pops tours that went to hundreds of cities across the country throughout the 1950s through the '70s. Some shows have holiday–oriented themes, such as Christmas shows featuring performers such as Jonathan Meath, who appeared as Santa with the Boston Pops for ten shows during 2008–2009. After Fiedler's death in 1979, he was succeeded as conductor of the Boston Pops by the noted film composer John Williams. Williams continued the Pops' tradition of bringing classical music to a wider audiences, initiating the annual "Pops-on-the-Heights" concerts at Boston College and adding his own library of well-known film scores (including Star Wars and Indiana Jones) to the orchestra's repertoire. 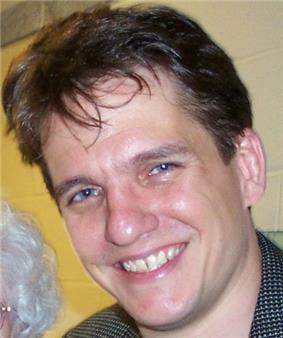 Keith Lockhart assumed the post of principal Pops conductor in 1995. Lockhart continues to conduct the Boston Pops today, adding a touch of flamboyance and a flair for the dramatic to his performances. 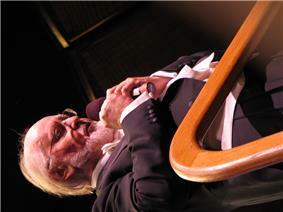 Williams remains the Laureate Conductor of the Pops and conducts a week of Pops concerts most years. Lockhart brought in numerous pop-music acts to play with the orchestra, including Ben Folds, Rockapella, Guster, My Morning Jacket, Aimee Mann, Kelly Clarkson, Elvis Costello, Barry Manilow, Steve Lippia, Amanda Palmer, Neil Diamond, Big and Rich, Maureen McGovern and Martina McBride, as well as Aerosmith, Toby Keith, Jennifer Hudson, The Hot Sardines, Jack Williams, Gretchen Wilson, Julia Udine and Ben Jacoby from the 2014 U.S. touring production of Andrew Lloyd Webber's musical The Phantom of the Opera, The Dropkick Murphys, former Massachusetts governor Deval Patrick, stage actor Will LeBow, comedian Jimmy Tingle, U.S. Senator Elizabeth Warren, current Boston mayor Marty Walsh, and The Beach Boys. ^ Edward B. Colby (Dec 3, 2009). "Town in the spirit: Dedham Square to be filled with song, shopping". Dedham Transcript. Retrieved 2010-11-13. ^ Midgette, Anne (April 2, 2003). "Harry Ellis Dickson, 94, Violinist and Conductor in Boston". New York Times.